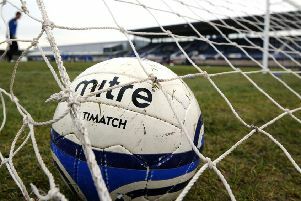 Dalbeattie Star secured their place in the quarter-finals of the South of Scotland Challenge Cup after a comprehensive 6-1 victory over Creetown. In the Lowland League, goals are very hard to come by for the Star, but in this competition they are free flowing having scored 14 goals in their two ties so far. There is a huge step up between the two levels but even so this match will do the confidence of the Star forwards in particular, the world of good. 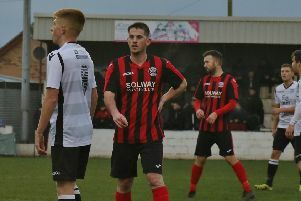 Dalbeattie manager Darren Kerr would have been looking for a quick start from his side and within six minutes they were two goals to the good thanks to Ben Irving and Liam Park. Creetown responded well to the early setback and halved the deficit when Stuart Taylor took a fine first touch before running clean through and beating Parker with an excellent finish. However, within a couple of minutes the wind was taken out of the Creetown’s sails as Star restored their two-goal advantage, with Milligan drilling in the third despite appeals for handball by the away side. Just before the half hour they made it 4-1 with arguably the goal of the afternoon. Lewis Todd nicked possession for the home side deep in the Creetown half and his pass to Farrel O’Sullivan was met with a superb first time strike. In the 65th minute Star made it 5-1 when from a throw in, some fine one touch football between Graham, Todd and Park ended with the full back running in on the keeper and he found the back of the net with a cool finish. There was still time for one more goal and with just under ten minutes left, Irving collected the ball outside the box and beat Johnstone with a low crisp drive from 18 yards. Next up for the Star is an important trip to face University of Stirling who are back playing at Forthbank, Creetown, meanwhile, host South of Scotland league leaders Stranraer, who have won all 15 games this season.